Xiao Bo, a shy boy from the country, comes to the big city and luckily lands a job and place to live thanks to a kind shop keeper, Mrs. Qing. 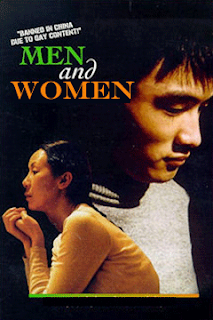 Qing tries setting Xiao on a date only to discover that he really “does not like girls.” When her husband, Kang gets wind of this news, he decides to try and take advantage of the young man causing Xiao to flee. In the end, Qing leaves Kang for another woman and Xiao finds a new home with his old friend Chong. Xiao and Chong find a lot in common as it turns out that Chong is also gay and the two of them start a new relationship.